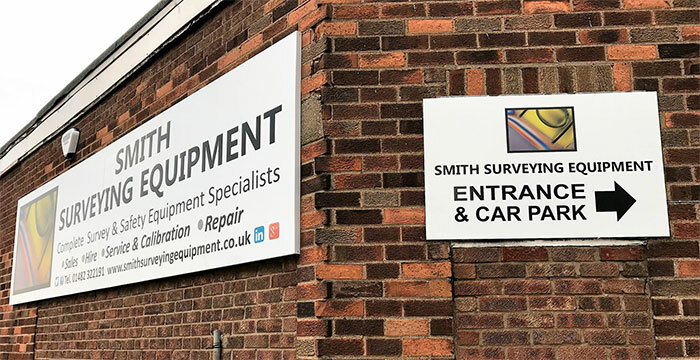 Smith Surveying Equipment Limited is a small, privately owned business that provides high quality surveying & safety equipment at the very competitive prices. Formed in 2009, initially through an Ebay shop, Smith Surveying Equipment Limited has a proven track record of both excellent service and competitive prices. The business remains one of Ebay’s leading surveying & safety equipment retailers, with it’s excellent customer reviews standing testament to it’s core values. Founded on thorough, competent, reliable, trustworthy transactions, our customers know they will be receiving the best value and best quality equipment, when and where they need it. The feedback received from our customers remains second to none, and many lasting business relationships forged through Ebay, still thrive today. Operating from our premises on Empringham Street, Hull, East Yorkshire, we continue to provide the service and commitment you come to expect and rely upon. Smith Surveying Equipment Limited are proud to be able to offer equipment from some of the premier manufacturers of surveying and safety equipment. Leica, Topcon, Geomax, Radiodetection, C.Scope International, Datum, Drager, Abtech Safety, BW Technologies and Suparule are all market leaders in their specialist fields, providing the latest technology and highest quality products. The list of manufacturers we stock is growing all of the time, as we look to keep pace with all developments within the survey & safety industries. As well as offering sales, we also hire, repair and service all of your surveying or safety equipment. By keeping our overheads low, we can offer you the very best equipment, at the very best prices. We also have a large, ever changing stock of reconditioned survey & safety equipment. All of this equipment has been thoroughly serviced and calibrated where appropriate. Holding this stock allows us to always provide options to customers for obtaining equipment that they may have considered to be beyond their budget. We will always try to assess how the equipment is going to be used, and whether additional features the equipment may have are actually beneficial to the end user. It is this consultation that marries up the correct kit for the job, without stretching the budget. We are always happy to help, and keen to offer advice or assistance when required. Smith Surveying Equipment Limited have an enviable reputation for service built up over the years with our customers. We aim to maintain and exceed that service level in the years to come! Don’t hesitate to get in touch on 01482 322191 if we can assist.